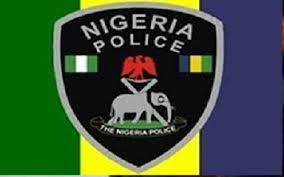 The Police Service Commission has said that 294,851 Nigerians have as at Thursday, January 10, applied for recruitment into the Nigeria police as constables. The recruitment exercise, which began on November 30, 2018 for 10,000 constables, is closing on Friday, January 11 as required by the Federal Character Commission, which stipulated that advertisements for recruitments into Federal Ministries, Departments and Agencies must run for six weeks to give applicants enough time to apply. The spokesman for the Police Service Commission, Mr. Ikechukwu Ani, said in a statement in Abuja on Thursday that Niger State maintained its lead with 17,790 applications. Bayelsa State, on the other hand, kept its last position with 1,797 applications. “As at 12.30pm on Thursday, 294,851 applications have been received. Niger State is followed by Kano with 16,800 and Katsina, 16,666. Lagos State is second from the rear with 1,720 applications, followed by Ebonyi State with 2,218. “Male applicants continued to dominate the exercise with 255,189 applications with females trailing with only 39,662 applicants,” he said. According to the Chairman of the Commission, Alhaji Musiliu Smith, who is a retired Inspector General of Police, said after the closure of the portal, the commission would start online short-listing of qualified applicants. Smith said that the short listed applicants would thereafter be invited for screening and other stages of the recruitment exercise. Nigerian President Muhammadu Buhari has last year approved the recruitment of 10,000 police officers to boost security and police operations in the country.